Pune city has a number of colleges, which provide a great stand for higher education in the field of arts and social science, law, engineering, commerce, medical science, journalism so on. Pune is the city of Maharashtra which is well known as Education Hub of India as the literacy rate is high. You can find different colleges which are classified in different categories. Pune is blessed with private, public and also professional colleges with regular and distance mode of learning. Types of colleges you can find in Pune are Law College, Art College, Fine Arts College, Pharmacy College, Medical College, Management College, Commerce College, science College, Engineering Colleges, physical Education Colleges, Architecture Colleges and so on. Most of the colleges are located Pune. Colleges in Pune are affiliated to the University Pune. 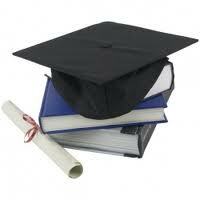 "Following is the list of Colleges in Pune. All Colleges in Pune are divided into Location wise. We have even listed college in Pune as per alphabetical order which is easy to find the desired college and information on it. If you come across any college in Pune which is not found from our list below, please do let us know by using add in list which is default in our website”.